Back when the whole 3D printed gun thing first made the news (you know, print something that will blow up in your hand) a few years ago it was a pretty hot topic. It looks like, after enriching a whole lotta lawyers they're now official legal and you'll be able to download and print one pretty soon. As a practical matter it looks like a good way to win a Darwin award, not to mention you can build a far better limited use firearm with odds and ends from your local hardware store if you're into that. All you need is an appropriately sized pipe, maybe a round file, and some way to hold and bang on the end of a 22 round. Moose, being on the receiving end of hunting licenses, tend to have divided opinions. We live in a seriously rural/wooded area, I am an occasional (less so now the kids are gone and the knees are going) practitioner of "armed hiking" (kid following along going "Here Deer, Here Deer" reduces the chance of actually seeing one) and target shooter (again, when the girls were still home, they're all good metallic silhouette shooters and the oldest shot sporting clays) with a well stocked gun cabinet so you could find some overall bias. I consider 3D printing firearms an exercise in futility and potential way to improve the overall IQ with the aforementioned Darwin award, but also think that as long as you only hurt yourself that's your decision. What do you think? Does anybody care about it anymore? I'm seeing pictures of printed guns on some of the (many) Prusa Facebook feeds. Like you say, a good way to earn a posthumous Darwin award! This recently showed up on an Indiana gun owners forum. 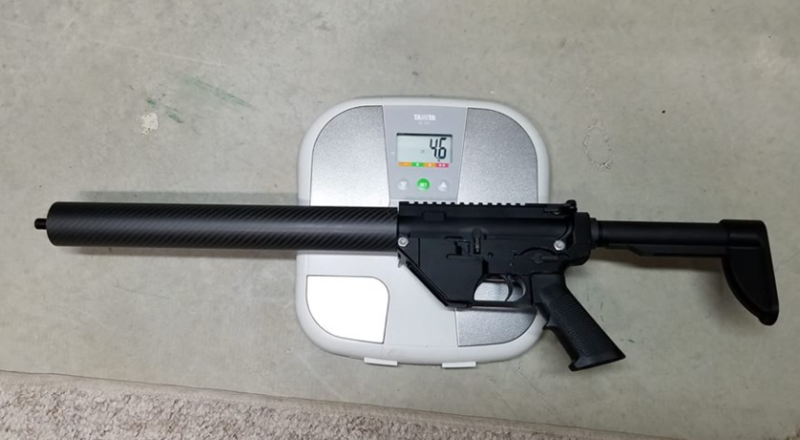 3D printed lower and stock. The people who will be eligible for The Darwin with regard to this are those that would have been eligible prior to the advent of 3D printing.